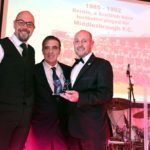 He’s already a Boro legend – now Bernie’s a Teeside hero! 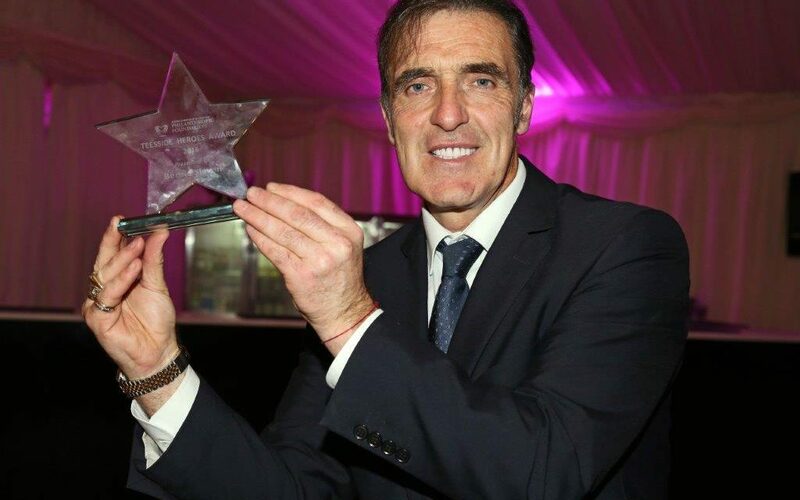 BERNIE Slaven earned legendary status for his goal-scoring exploits while playing for Middlesbrough FC but now he has been officially recognised as a Teesside Hero due to his less-heralded work off the pitch. The Scottish-born ex-Republic of Ireland player, now an adopted Teessider, scored 146 goals for Boro, making him one of the club’s all-time top scorers. After hanging up his football boots, the former striker won a new legion of fans as a media pundit, one of radio’s Three Legends and sidekick of the late and much-missed “Voice of the Boro” Ali Brownlee. But Bernie has also used his fame to help a wide range of worthy local causes over the years and this generosity of spirit has now been recognised with a Teesside Hero award from charitable movement Middlesbrough and Teesside Philanthropic Foundation. The Foundation surprised big-hearted Bernie at their annual dinner, with trustees Lee Bramley, of patrons the Endeavour Partnership, and Paul Davison, of patrons Erimus Insurance Brokers, presenting the award in front of hundreds of guests at Wynyard Hall. Bernie, 55, said the surprise award was “a great honour”. 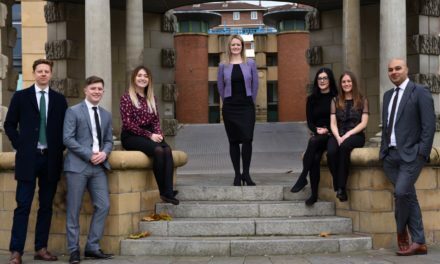 Over the years Bernie has raised £40,000 for the Multiple Sclerosis Society, £37,000 for the Gary Parkinson Trust, £2,000 for diabetes research and much, much more for Teesside Hospice. Diabetes is a cause close to Bernie’s heart, as his teenage son Ryan has type one diabetes and has received fantastic care at Middlesbrough’s James Cook University Hospital. As part of his award, Bernie gets to nominate a local charity for a £1,000 donation, and wants to give the cash award to James Cook Hospital to help local diabetes sufferers. Bernie has also held numerous fundraising dinners and events for his former Boro teammate Gary Parkinson, who is continuing his battle to recover from a stroke which left him with locked-in syndrome. Bernie said: “Gary is one of the nicest lads I have ever met. Me, him and Mark Proctor were big friends in the Boro dressing room. Bernie is also inspired by Willie Maddren, the former Middlesbrough manager who gave him his big break in English football but who tragically died at 49 as the result of Motor Neurone Disease. 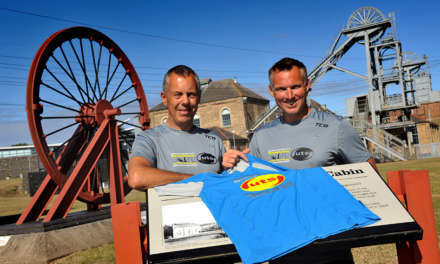 He now helps local fundraiser and MND sufferer Mike Findley and earlier this year became patron of the Mike Findley MND Fund, succeeding his good friend Ali Brownlee. Bernie has raised funds for the Ann Charlton Lodge in Redcar, which provides care for people with Multiple Sclerosis. This has included running marathons and donating profits from sales of his autobiography, Legend? He has also acted as a patron of the Sporting Memories Foundation, a charity that supports older people living with dementia, depression and loneliness. 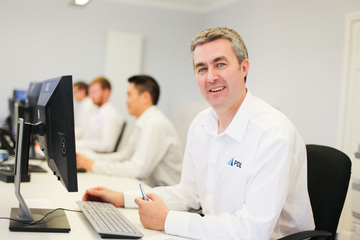 He has regularly supported events for the Finlay Cooper Fund, helping local children in memory of the son of his former Middlesbrough teammate Colin Cooper. He’s also taken part in numerous charity football games, including two for the Foundation at the Riverside Stadium that raised around £30,000. Long-standing friend and biographer Dave Allan, who nominated him, said: “Bernie isn’t well off so it would be easy for him to say he had to look after himself, rather than others. “But Bernie has always been a naturally giving person, always keen to help out where he can. 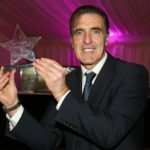 To nominate an unsung community champion as a Teesside Hero, visit the Get Involved page of the Foundation’s website at www.teessidecharity.org.uk.